Bitcoin is an online software based payment system that is not attached to any particular currency or any single country. It is used for peer-to-peer transactions and does not have a central repository like normal national currencies. In fact, its status as a currency is disputed in some countries. The website, Coindesk, have suggested that Bitcoin could be very useful to people who frequently travel to a variety of destinations around the world because of the fact that it is not based upon any national currencies. This means that it is not subject to politically based fluctuations in exchange rate and are not subject to the same bank fees as normal currency. Banks and currency exchange companies charge fees at more than one stage of the currency exchange process and, for people who are travelling extensively, could really add up. For people wanting to use credit cards instead, there are also additional fees. Since the charges for exchanging Bitcoin is minimal, this could be a good option for frequent travellers. 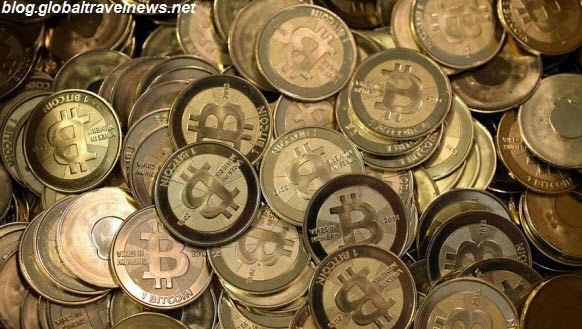 While there are a number of good reasons to use Bitcoins, there are drawbacks. The main one being that, although an increasing number of businesses are accepting Bitcoin payments, it is still not widely accepted as a form of payment. Another issue, is that it can be very vulnerable to value variations due to market forces. An example of this could be, if a number of large retailers decided to drop Bitcoin so the demand greatly reduced then the value could decrease dramatically. In addition to the valuation concerns, people also worry about the reliance of Bitcoin on technology and the potential for technical glitches and money being lost through computers crashing, getting viruses, etc. These concerns all together make people reluctant to use Bitcoins at the moment but there may be developments in the pipeline that make people more willing to give Bitcoins a try while travelling. 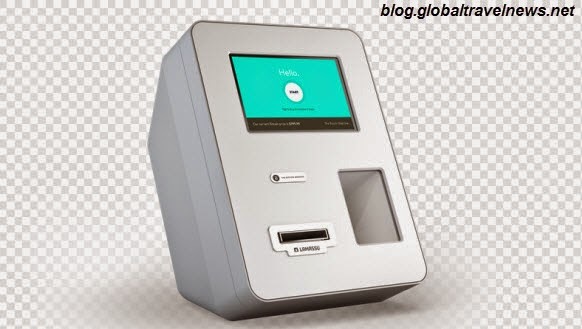 A particularly promising development for world travellers using Bitcoins is the plan to expand the use of Bitcoin ATMs. People already use ATMs across the globe to draw out local currency but, again, there is the concern of hefty bank charges and the fact that some cards are not accepted in some regions. New Bitcoin ATMs could allow users to draw out local currency from their Bitcoin accounts without going through banks and without needing to use a card. They are also planning for these machines to accept local currency and convert it back into Bitcoins. Thus, avoiding bank charges and incompatibility issues with cards. Therefore, it is likely in the future, that more and more world travellers will use Bitcoins as a cheaper and easier alternative to currency exchange but it is unlikely that this will become common practise in the next year or so.